biddeford cowl + quince & co.
I’m beyond excited to share a secret I’ve been keeping for a few months now: this morning, my Biddeford cowl was released as part of Quince & Co.’s yearly publication, Scarves, etc. 7! When Quince sent out their call for submissions last year, I had just finished knitting a cowl in their Lark yarn for my sister’s birthday. Reluctantly, I decided to take a chance and send it in. A few weeks later, I squealed with delight when an email arrived from the Quince team letting me know that it had been selected. It was one of those true, joyful moments in life. Biddeford is the piece you’ll reach for time and again when you want a bit of comfort and warmth around your neck. 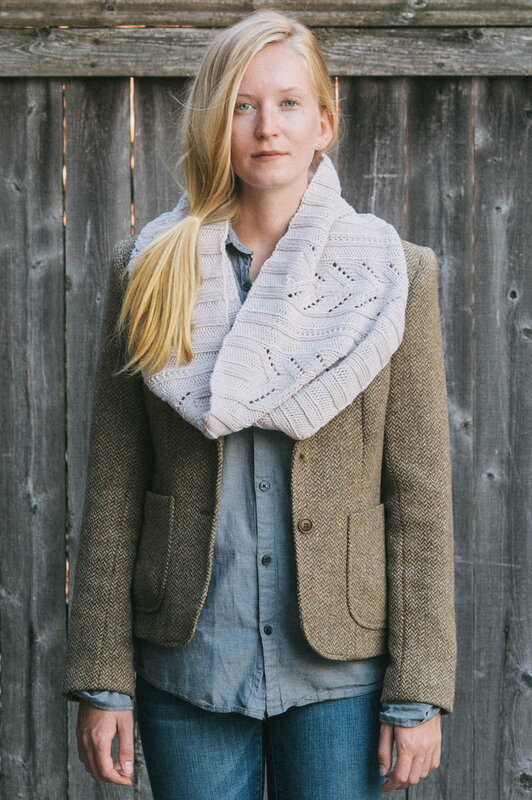 When knitted in a neutral colorway, like this creamy Lark Canvas, it’s equally at home when worn over a blouse at work, layered over a flannel for pumpkin picking, or as a wool coat topper for date night with your partner. 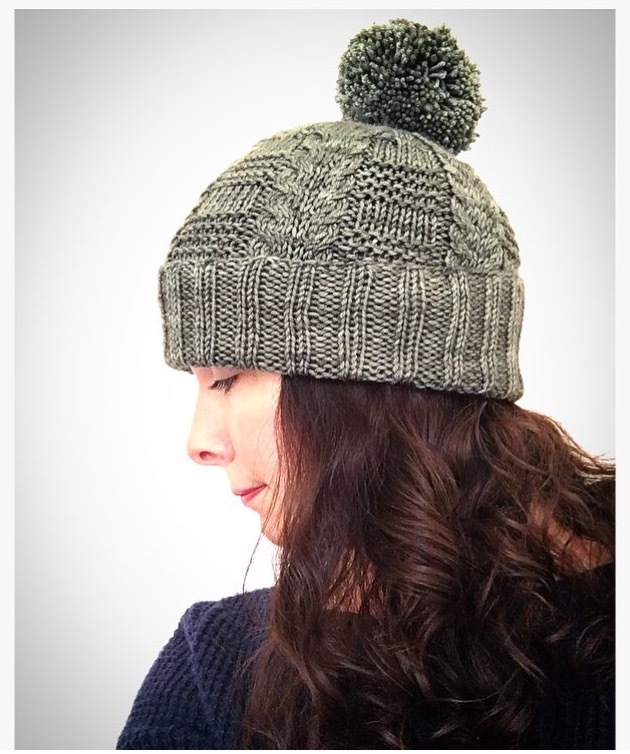 The project uses just three skeins of Lark - a smooth and bouncy worsted-weight wool, and the lace pattern is perfect for both beginning knitters looking to expand their skills, as well as advanced knitters who want something interesting, but meditative on the needles. I’m over-the-moon honored to be a part of this gorgeous collection, and hope this sweet and simple knit will help keep your necks warm and cozy all winter long. Get the Biddeford pattern here. Be sure to tag your projects with #BiddefordCowl! 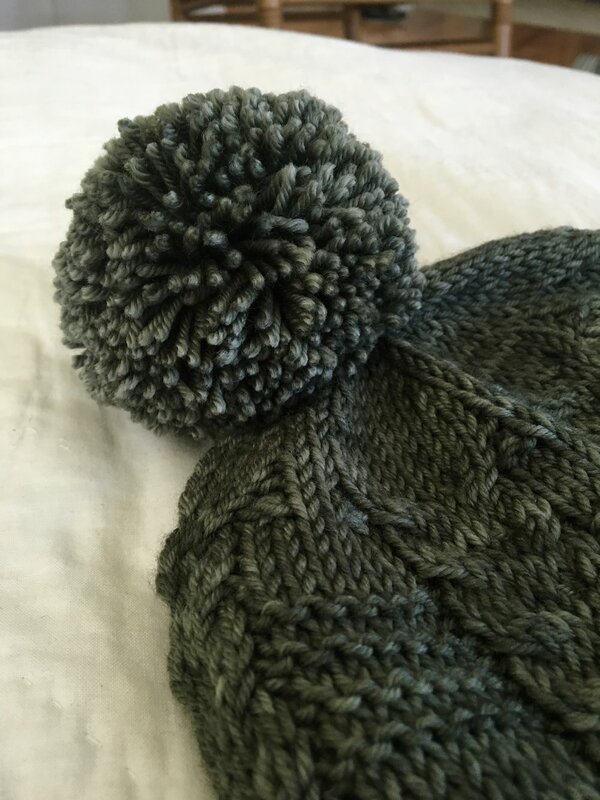 First, I finally learned how to hand-wind a center-pull ball of yarn, which will be used on my secret WIP. I actually used my Beauty Blender container to start the ball, after seeing someone on Instagram use an old film canister. Sometimes the strand catches and needs a little extra tug to release, but overall, it works! I think I just wound those first few rounds a little too tightly, so next time, I'll try relaxing my tension. This is the first new skill I've added to my repertoire this year! On Wednesday, I stopped into my local library to photocopy the Log Cabin Socks pattern out of the book, Handknit Holidays. (Question: does anyone else visit the library for knitting patterns?) Inspired by Jared's gorgeous version, these cozy slipper socks will be a (very late) Christmas knit for my very patient niece. Since the pattern calls for bulky weight yarn, I'm hoping these are a quick, satisfying knit. What about you? What are you working on this weekend? My love of fiber and all things woolen runs deep--and grows deeper each day. 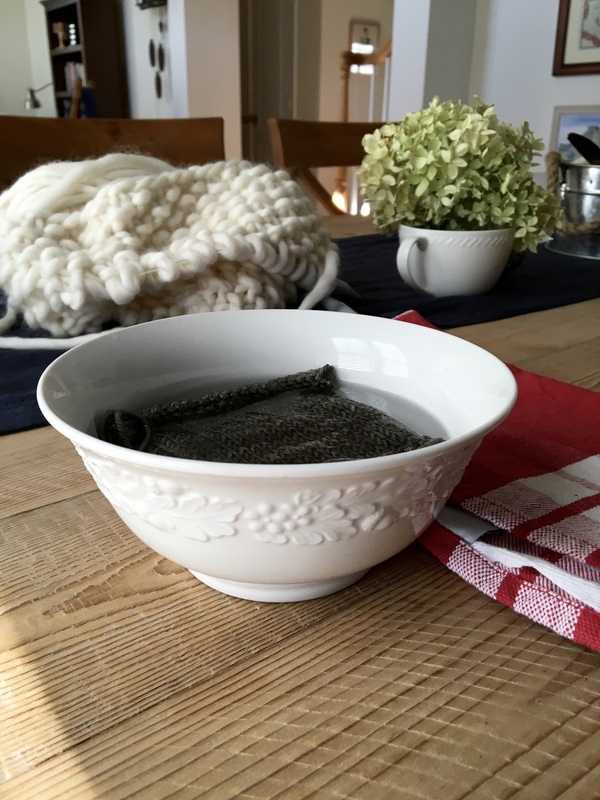 Today, I couldn't imagine a day without knitting, but when I think about how it all started, I marvel at the small chain of events that had to occur in order to bring knitting into my life. My first cast on occurred in a hospital waiting room over nine years ago. You see, my mother has battled severe health issues over the past decade, and when her illness was first discovered, my younger sister and I spent hours and hours, days upon days, sitting in drab-beige hospital waiting rooms bored out of our minds. One day, my sister casually turned to me and said: "You know, while I was out in Oregon visiting Mom Jodie (her mother-in-law), she taught me how to knit. How about I bring in some yarn and needles tomorrow and I'll show you? It'll at least give us something to do while we sit here." I said yes, and so she did. 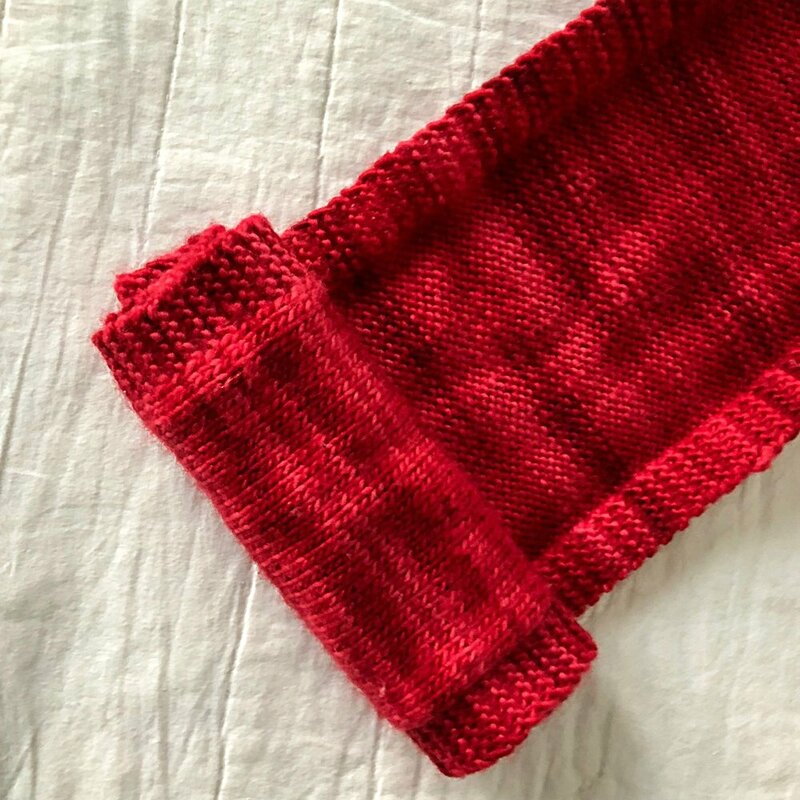 The next day, she arrived at the hospital with two, long bamboo knitting needles and a skein of Red Heart Super Saver acrylic yarn in the brightest shade of turquoise I'd ever seen. Sitting in the peach, pleather-covered chairs, she patiently showed me the long tail cast on, then, slowly demonstrated the four movements that would forever impact my life. 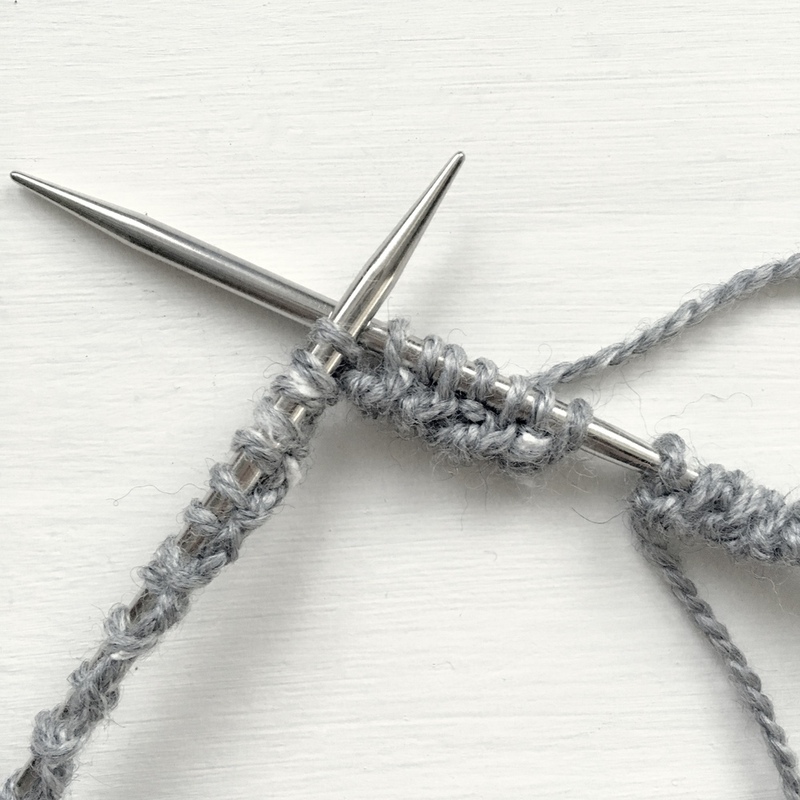 Tip the wooden needle into the tiny loop of fiber, wrap the yarn around the working needle, tuck the tip back through the loop, then slip off the completed stitch! I was mesmerized. My stitches were tight at first, but slowly, as I became more confident in the movements, they began to relax and even out. Row after row, a soft fabric began to form, and at that moment, I knew I was a lifelong knitter. The funny part of this story is that my sister never took to knitting; she only knew the one stitch. 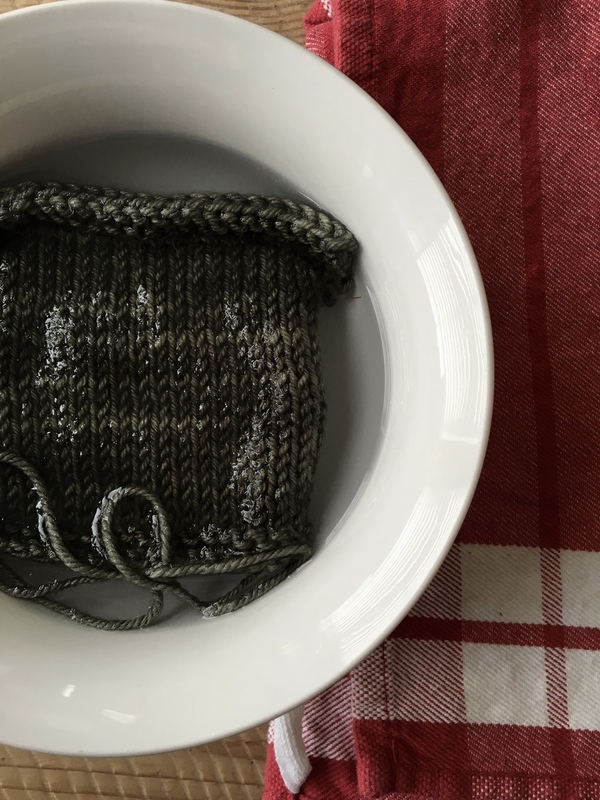 She couldn't teach me how to purl or bind off, so from that day forward, I became a YouTube-watching knitting junkie--devouring videos about stockinette, tension, and weaving in ends. The very next week, I went to my local yarn store and picked out two skeins of Brown Sheep's Lanaloft Aran wool in a beautiful red and pink ombre, and cast on my first scarf--bravely--without a pattern. 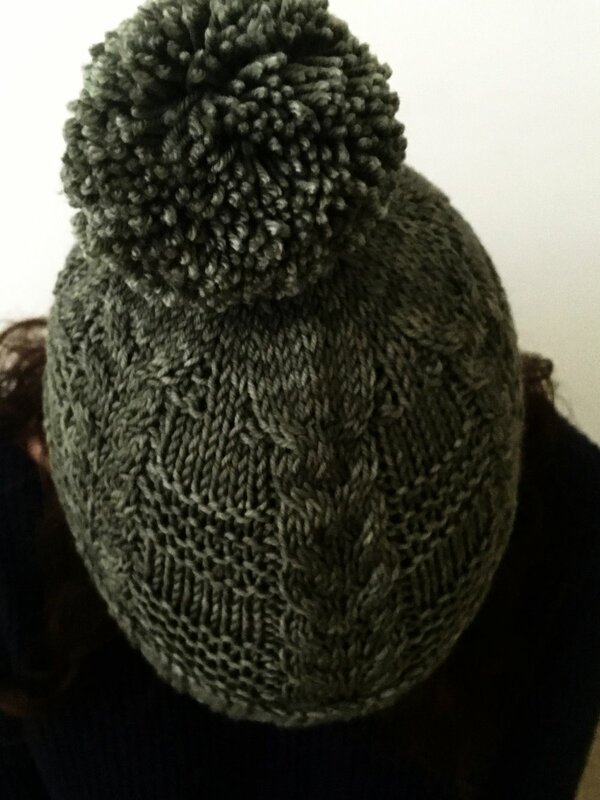 It was my first time knitting with wool, and I fell in love with the sheepy characteristics of the fiber. How it felt in my hands, so warm and responsive. 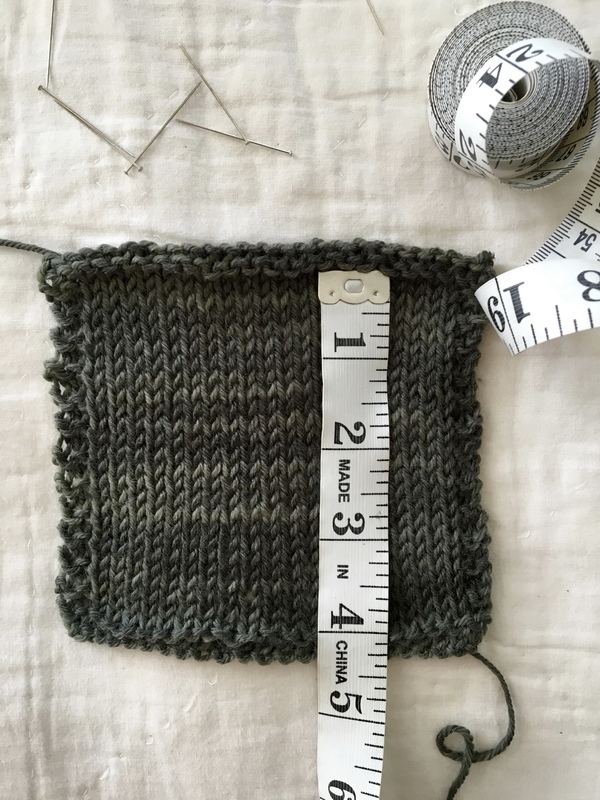 I was proud of myself for 'conceptualizing' a scarf with garter edges and smooth, center stockinette panel. 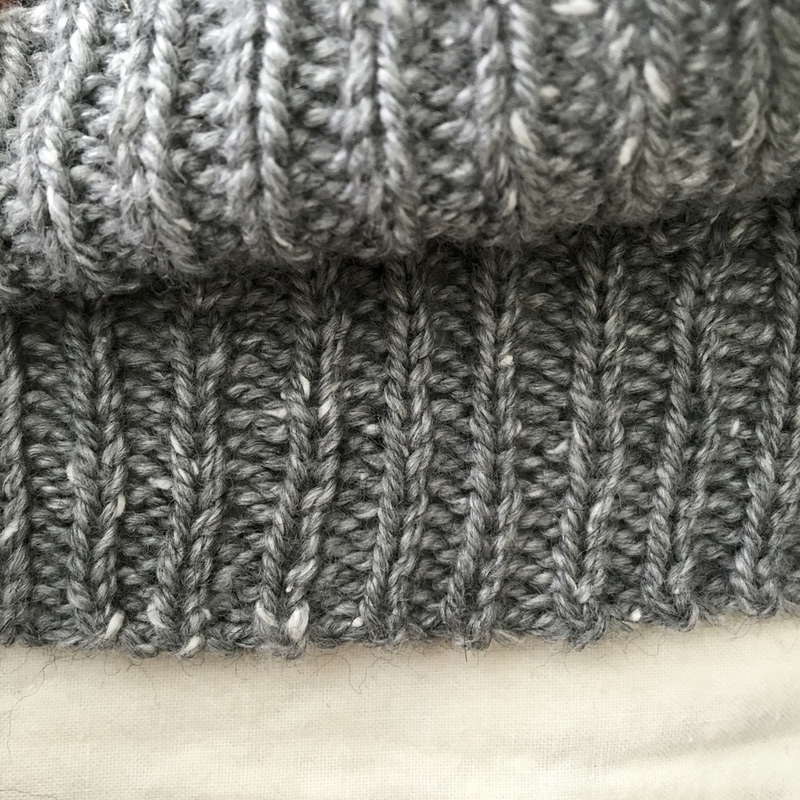 I took my time with the scarf, counting my stitches after each row, checking to make sure the loops were perfect before moving onto the next. 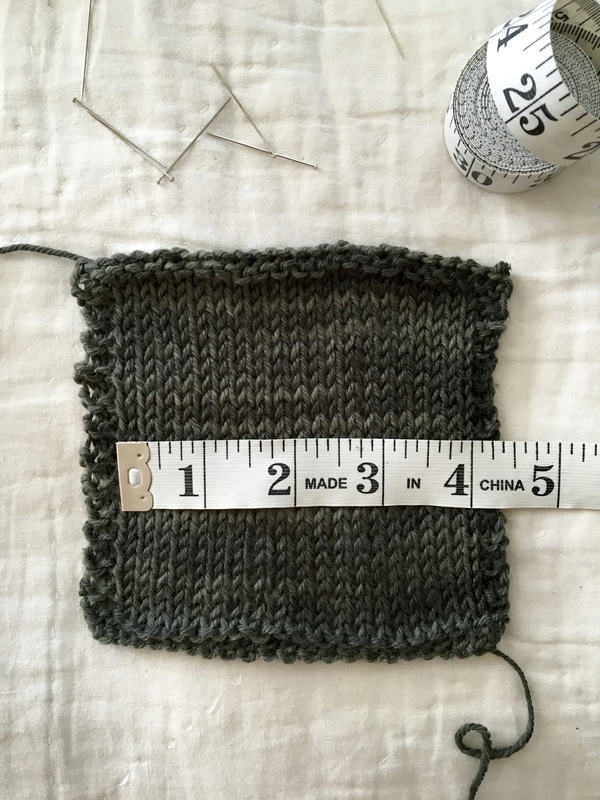 I didn't know it at the time, but I was learning to read my knitting--a skill that's come in handy as my projects have grown in complexity. Despite its curling edges, I felt an immeasurable sense of pride when the scissors cut the working yarn from the finished object. With my hands, two sticks, and some wool, I had made an article of clothing. Knitting felt like a gift, and I never looked back. So today, on this St. Valentine's Day, I celebrate my love for this craft. Sometimes I wonder if my sister didn't take that trip to Oregon, and didn't have a knitting mother-in-law, and and if my mother hadn't come down with an incurable, lifelong illness, would I be a knitter today? It's possible. However, when I think about how much joy, happiness, and connection that knitting has brought to my life, it's unimaginable what life would be like without it.